Interviewer: Maddison Coulson, CommunityWise – Practicum Student. Interviewee: Aminah Malik, Refuge Recovery Beltine. 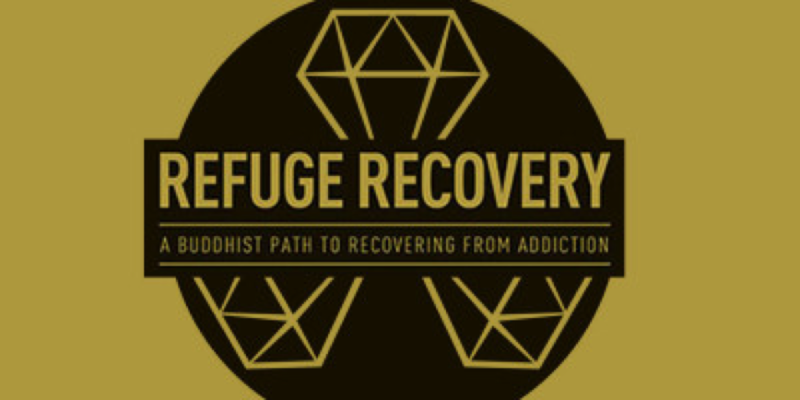 The first Refuge Recovery meetings started in Los Angeles in 2008, and then the book Refuge Recovery (from which the program is based) was published in 2014. Our group, Refuge Recovery Beltline, was established in December 2014. How has your organization changed over time? 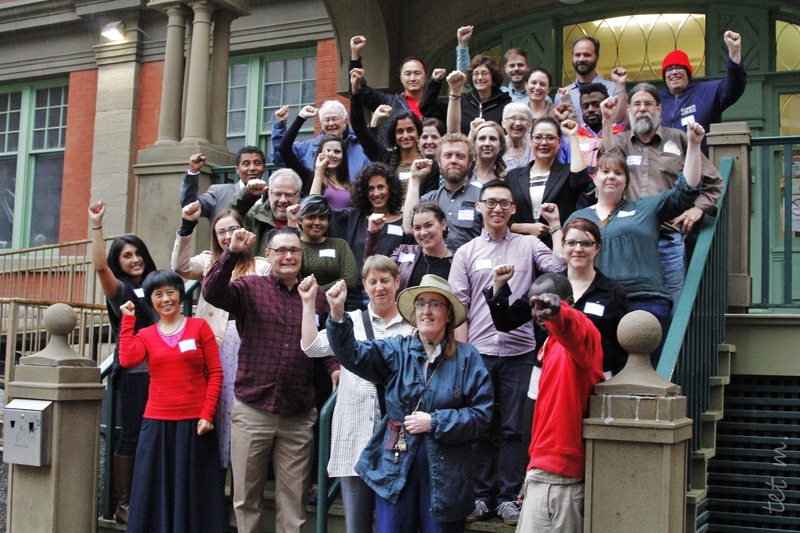 Three years in, there are now over 300 Refuge Recovery meetings worldwide. There have been three Refuge Recovery Conferences in Los Angeles, where the greater Refuge Recovery community has come together to practice together, and discuss the program as it rapidly grows across the world. At the Refuge Conference in 2016, the Refuge Recovery Guiding Principles were established. In 2017, geographic regions were delineated so that Refuge Recovery communities in the same region could connect and support one another. The first year our group was established, there were anywhere from 2 to 10 people in a meeting once a week. We started in a little space on 17th Avenue that was located underneath a retail space. Having an online presence brought more attention to our community, as we developed a Facebook page and website early on. At the end of 2015, we found CommunityWise Resource Centre (CW), and began renting the Arusha space in early 2016. Because of the inclusive and affordable space CW offered, we quickly became self-supporting, and started our second meeting. We were now offering meetings on Monday and Thursday nights, and we quickly began to see about 20-30 people in each of our meetings every week! In 2016, we began to develop a very healthy, close-knit recovery community. More and more people became interested and involved in Refuge. Treatment centres in Calgary began recommending our meeting as part of their programming. By the end of 2016, the demand for another meeting was high. In early 2017, we started a Beginners meeting on Sundays, in addition to our two existing meetings. The Beginners meeting aimed to support those just starting out in the Refuge Recovery program, by focusing on foundational practices. We also had the support of several mentors actively working with members in the group. The Refuge Recovery Beltline community has grown considerably since 2014. We were so pleased to be able to bring in one of the founding Buddhist teachers of Refuge Recovery, Dave Smith, to offer a talk and workshop for our community in the summer of 2017. Earlier in the same year, the Clinical Director of Refuge Recovery Treatment Center in LA, Dr. Stephen Dansiger, came to CommunityWise to offer our community a talk. It has been wonderful to be able to support our community in more ways than simply offering meetings. The talks given by Dave Smith and Dr. Dansiger are available on our website. Can you summarize what your organization’s main objectives are? What are the your mission/vision/value(s) that your organization abides by? The main objective of Refuge Recovery is to work towards a full recovery from all forms of addiction, and to develop a lifelong sense of wellbeing and happiness. The program recognizes a non-theistic approach to recovery. It is an abstinence-based program whereby members practice mindfulness, compassion, forgiveness and generosity (the core principles of the program). The program aids in the process of healing the underlying conditions that lead to addiction. Refuge Recovery recognizes that the group’s health and wellbeing is of utmost importance – that personal recovery depends on connection with a healthy, safe, confidential and stable community. Each group refrains from violence, dishonesty, sexual misconduct and intoxication, and aims to remain accessible to all who seek recovery from addiction. Tell me about “Refuge Recovery”, the book on which you base your recovery. The book is written by Noah Levine, a Buddhist teacher and founding teacher of the program and Against the Stream Buddhist Meditation Society in LA. The book provides a systematic approach to recovering from all forms of addiction. Levine outlines the traditional Buddhist system of the Four Noble Truths and Eightfold Path – which, in this book are used as a framework for recovery. The book also contains personal stories of recovery, meditations, and meeting formats and resources for those looking to start a meeting of their own. In the beginning, we were only a small group of people that truly felt the need for an alternative recovery program – something other than traditional 12-step based recovery programs. We were not sure if the program would catch on in Calgary, or if other people in recovery would find it helpful. Over three years, we’ve grown to be the largest Refuge Recovery group in Canada. In my opinion, recovery is not a ‘one-size-fits-all’ thing. People are different, and each of our recovery journeys are unique. A Buddhist approach is just one way to do it. I’m personally very happy I found it, because it works for me. And I’m very happy to have been able to share it with other people, and see it work for them too. What is the Eightfold Path Study? On Thursdays, our meeting is an Eightfold Path Study. Eight chapters of the book are each dedicated to a ‘Fold’ of the Eightfold Path. Each week, we read and discuss one of these ‘Folds’. What is it like working/volunteering at Refuge Recovery? What is a typical day? Each meeting follows a similar format: Introductions, Guided Meditation, Reading, and Sharing. A meeting is one-hour long. No previous meditation experience is necessary, and people are not required to read aloud or share, if they are not comfortable doing so. Service work at Refuge looks different depending on which volunteer position you look at. Meeting Secretaries are responsible for opening and closing the meeting room, setting up and taking down the meeting, making tea, and facilitating the meeting. Secretaries also provide meditation instruction during the meeting, or delegate this to another member. Mentors offer time and guidance to those just starting out in the program – this is typically done on a one-on-one basis. We also have a group treasurer that collects and manages donations. There is plenty of opportunity for members to get involved and volunteer, which is great. What are some challenges working/volunteering at Refuge Recovery? Meeting safety, accessibility and inclusion, and burnout prevention would most likely be the main challenges. The volunteers in our group are working hard at finding ways to make meetings as safe and accessible as possible. These topics are also being discussed at the Board-level. Volunteering and mentoring can cause burnout, so we all must remain mindful of our own capacities to help others, and always try to look after ourselves first. Finding balance can be challenging, but we work at it consistently. Group support is great for this. Are there any new projects you are working on at the moment? Refuge Recovery Beltline is hoping to offer a retreat or workshop in the future with a Buddhist teacher based out of Portland. He started one of the very first Refuge Recovery meetings! We are also working on organizing more social events, like movie nights and potlucks. Is your organization hosting any events coming up soon that folks might be interested in? Check out our website, Facebook and/or Instagram for upcoming events! Where can folks go for more information about your organization? – You can request to join our email list to get notifications about upcoming events. Previous PostPrevious Casino Fundraiser May 15 & 16, 2018 – Volunteers Needed!